For most women, the bag is a mobile desk, a portable dressing table, a cloakroom, a container for lunch, a library, a shopping trolley, travel bag or all together. Women carry in their fashion handbags everything they need to use during a day, or even for a week or more. The prehistoric wholesale fashion handbags for ladies were made of several strips of animal skin and it was used as a container for keeping food or of pieces of flint. During the Roman Empire and later in the Middle Ages, this bag became a chic accessory, earning its right to be hung at the waist. In the Renaissance, skirts became larger and larger. 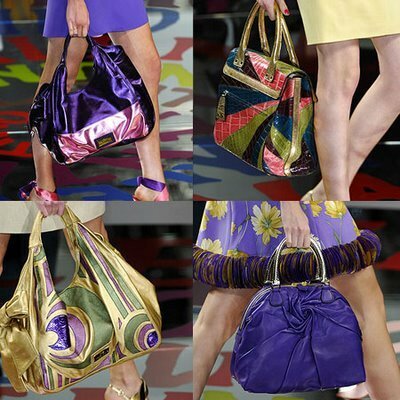 The mini-bags made of fabric became, as a result, an indispensable accessory. They hide money, a small mirror, bottles of salt and perfume. But the ladies of those times also used the inside of the sleeves to hide such treasures. As a result, fashion handbags sale increased. In the eighteenth century, men and women, who until then had both shared this accessory, choose different paths. The first discover the convenience of pockets sewn into pants. Ladies bags turn into a traditional apron tied at the waist, significantly increasing in size. In the early nineteenth century, the fashion handbags as we know them today see the light of the day. Initially, they had the shape of a soft pocket that holds cards, love letters, a fan etc. The husband, a valet or a baggage man transported what remained on the outside, especially if the bag had smaller dimensions. In general, in the nineteenth century, one did not need to carry the keys to the house, the mobile phone (which was not invented yet) or other accessories we carry today. And there was also no makeup, still considered unethical, which meant that women were limited to powder or perfume bottles. As for money, most of the shopping was done with credits opened in different shops regularly, so that the fashion handbags for ladies were very small. Very soon, however, people began to travel more. The previous kind of bag disappeared, and it was replaced by bag with handles. Along with suitcases, the first true hand bag appeared, fitted with padlocks against thieves. From 20s makeup is finally restored and the fashion handbags are equipped with small mirrors and makeup. The evening version is smaller and it is made of textile or, more recently, plastic (plastic was invented in America by Hyatt brothers in 1869, and it was introduced in Europe in 1876). Usually, the bag hangs by a long chain or a silk cord. Sometimes, it has a circular handle, which allows it to hang from the wrist. 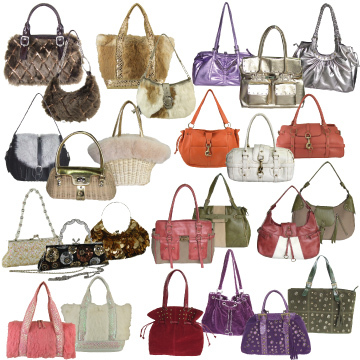 Due to the development of technology, fashion handbags sale also increased a lot. Nowadays, we have access to all kinds of bags, of all shapes, colors and sizes, made from various materials, invented to meet all the needs of a woman, and we can even buy fashion handbags online. Due to the Internet, it is easier than ever to choose the favourite model and to buy owr fashion handbags online, from the comfort of our homes.